Do you own a home or business in Chicago or the surrounding area? Unless you’re living in a dungeon, you have windows on that home or business, and those windows need cleaning every so often. If you’re thinking of doing that window cleaning in Chicago by yourself, consider these reasons why you should use a professional window cleaning service. Get the job done right, without the hassle. You’ll see a huge difference between a professional job and an amateur one. Screens, frames, sills, and skylights are all cleaned until they’re spotless. Inside and out, you can expect no streaks and beautiful windows on any size of home or business. Plus, you don’t have to lift a finger. Stay safely on the ground. If your home or business has windows that are above the first story, that’s all the more reason to hire a professional. A professional window cleaner has all the equipment and follows all the procedures necessary to avoid accidents. Save time for your life or business. With large homes or store fronts, window cleaning in Chicago can take a huge chunk of your day away. If you’re running a business, that means prime wage earning hours are being sucked up with cleaning windows. Professional window cleaners have the staff and the equipment to get the job done quickly and efficiently. Some professional window cleaners offer other cleaning services, like gutter cleaning. While they’re at it, they might as well get everything looking like new. Find a professional service that offers more than just window cleaning in Chicago. Clean windows are good for your business and home. They let more light in, warming up your home. And they improve the atmosphere for customers in your store, increasing the chance they’ll make a purchase. 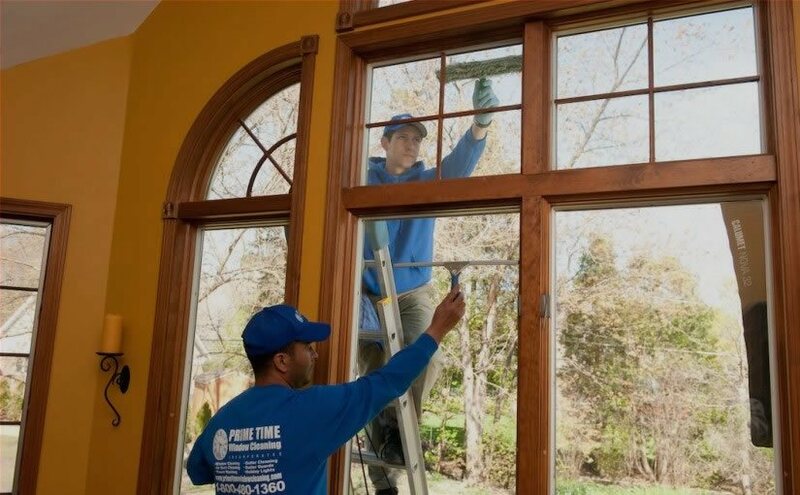 For the best window cleaning in Chicago, contact the professionals at Prime Time Window Cleaning. We’ve been providing clean windows for Chicago and the surrounding areas for several years. 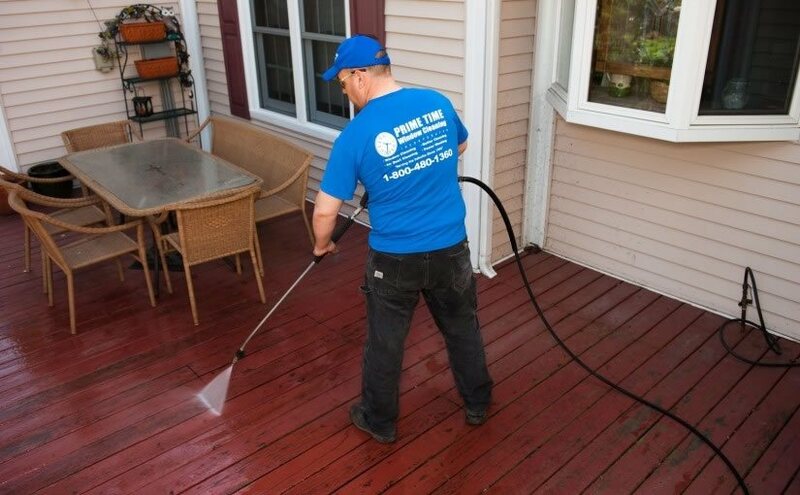 And we offer a full suite of related services like gutter cleaning and power washing. We have everything you need to maintain clean windows for your retail store, auto dealership, office and more.